I think this is the longest I've gone not posting and the only excuse I have is that I was busy helping put on a race, take care of a dog, and had a case of laziness. The last couple of weeks have been interesting and disappointing as far mountain biking goes. So starting back up: Saturday Feb. 1, I did a hard and slow mountain bike ride of Sludge and Rocky Road. It was still a little slick and muddy and it was a slow ride. I think Rocky Road took 1.5 hours and the rest took another 1.5 hours so about 3 hours start to finish with rest stops included. This was my first RR ride of the year! I hope to get another one in before the end February. It just felt awful, I am regressing on my strength and I'm not sure why. I don't feel like I've overtrained but Jason told me to finish out the week, no strength next week and then start a new program - The Russian Bear. So that is what I did and will explain it in a new post. 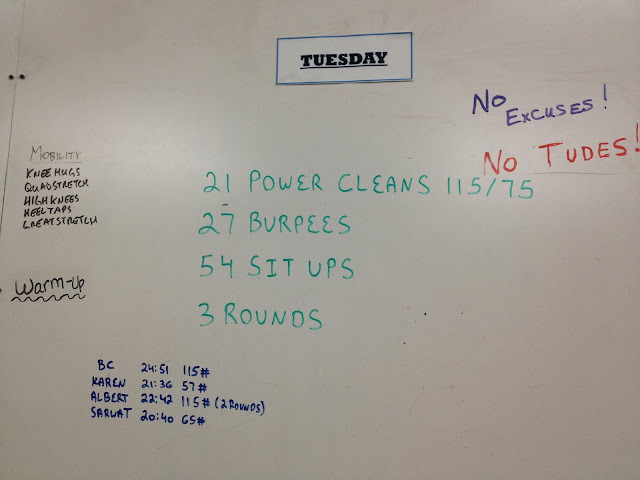 I liked this workout, they based it off a Crossfit competition that took place in Durham. So each round, you have to change out your plates. I do not think I could have done the Rx weights! This was tough enough for me. 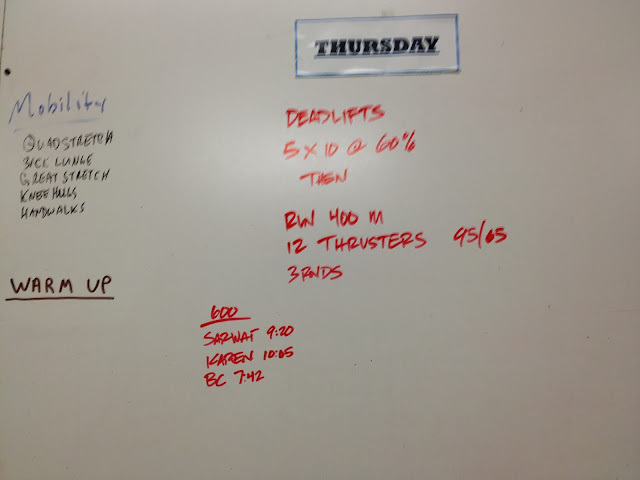 I went easy on the Thurster (front squat to push press) weight and that was a good thing. 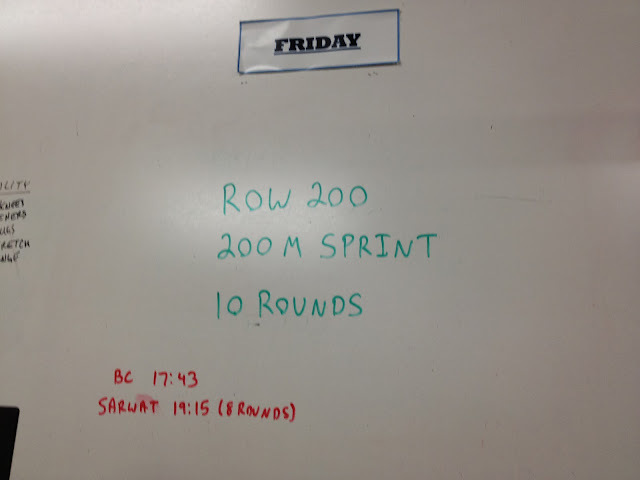 I could only finish 8 rounds in 19:15. I helped set up and mark the course for the Beaverdam/New Light Challenge, this took 3 hours in some really cold weather. After that I was too tired to actually ride my bike. Not a good sign for Sunday- race day. Sunday was our big mountain bike endurance race at Beaverdam/New Light, and I participated in it but would not really say I raced it since I was doing so poorly. Still, I'm glad I finished the entire race- last year I couldn't even imagine riding all of New Light (one of the harder trails in the area) and now I can ride all of Beaverdam, 12 miles of road and 8 miles of New Light! Next up- learn to ride it faster. I did learn that I am terrible on the road, a bunch of people passed me and although I was in my big ring, I could not keep up. That being said, I'm not going to be road riding anytime soon! I do think I probably need to do some fast intervals and learn to keep a high steady pace.